The Malta Association of Medical Physicists (MAMP) was established in August 2008 to promote the contribution of the physical sciences in healthcare and to further the Medical Physics profession in Malta. 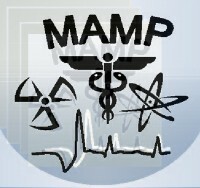 As of September 2008, MAMP formally became a member of the European Federation of Organisations for Medical Physics <http://www.efomp.org>. a.Raise the profile of the role of the medical physicist and the importance of the contribution of this profession within the national healthcare system. b.Work for Medical Physics to be recognised in Malta as a distinct regulated healthcare profession as in other EU countries. Please click here for a copy of the statue of the Association. Medical Physicists provide the scientific expertise underpinning the safe and effective use of medical devices, particularly those involving the use of ionising and non-ionising radiation in medical imaging and radiotherapy. Medical Physicists play a service-critical role in, and assume responsibilities for, the radiation protection of the patient, staff and public, the optimised application of ionising radiation and quality control of radiological devices. Medical Physics is a growing profession within the Maltese healthcare system. At present, there is one medical imaging physicist working in the Radiology Department at Mater Dei Hospital but there is no medical physics presence in the area of Nuclear Medicine in this hospital. There are also a further three radiotherapy physicists working in the Radiotherapy Department at Sir Paul Boffa Hospital. There is therefore a clear lack of qualified medical physicists in Malta not only in Diagnostic Radiology and Nuclear Medicine but, with plans to build a new Radiotherapy Department within the next few years, there is also an anticipated shortage of qualified medical physicists in Radiotherapy. The present situation faced by the Medical Physics profession in Malta presents a number of challenges, which the Association wishes to address. 1.Unlike in the rest of Europe, in Malta Medical Physics is not yet acknowledged as a distinct regulated healthcare profession in its own right. MAMP has presented a request, in October 2008, to the Council for the Professions Complementary to Medicine <http://www.sahha.gov.mt/pages.aspx?page=84> for the Medical Physics profession in Malta to be state registered with the Council. This request in currently being processed by CPCM. 2.There is no defined programme for the educational and training requirements of the medical physicist that defines the profession on a national level. Therefore, as an outcome of registration with CPCM, MAMP is committed to promote formal educational and training requirements necessary to achieve formal recognition as �Qualified Medical Physicist� that are based on policies and standards established by EFOMP. 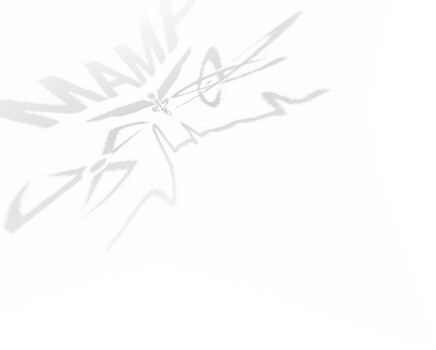 EFOMP has recently published Policy Statement No. 12 <http://www.efomp.org/policy/policy12.pdf> in which EFOMP updates the educational and training requirements for the �Qualified Medical Physicist� for new trainees in Medical Physics. 3.In its role of a professional association, MAMP is working to establish a voluntary register, based on EFOMP criteria, for the �Qualified Medical Physicist� and the �Specialist Medical Physicist�. EFOMP considers the Specialist Medical Physicist as being equivalent to the �Medical Physics Expert� defined in EC Directive 97/43 (hence LN 472/2004). 4.It is an accepted reality that, like any other healthcare specialisation, the number of medical physicists is not sufficient to satisfy the needs of the national healthcare sector. MAMP therefore aims to emphasise the need to increase the number of properly qualified medical physicists in all specialities. MAMP wishes to work to produce a working programme to ensure that the number of Medical Physicists required on a national level is achieved. 5.One issue that is of great concern to MAMP, at present, is the proper recognition of the Medical Physicist as the trained professional entitled to undertake the role of the �Medical Physics Expert� under LN 472/2004. In the interests of both patient safety and of the profession, MAMP will strongly oppose any attempts to introduce surrogates for the medical physics profession by tailoring regulatory criteria for the Medical Physics Expert to fit other professional groups. EFOMP emphasises that persons not having the training and qualifications of the Medical Physicist cannot undertake the role of the Medical Physics Expert. It is hoped that any future regulatory recognition of the Medical Physics Expert will be based on EFOMP criteria.